Once, for a spell, the only folks in the Ozarks were Eve and her Paw. That of course is if you don’t recognize the critters, the rocks, trees, and even the haunts as folks. Eve certainly did. Eve of the Ozarks collects her adventures in an uninhabited Ozarks. 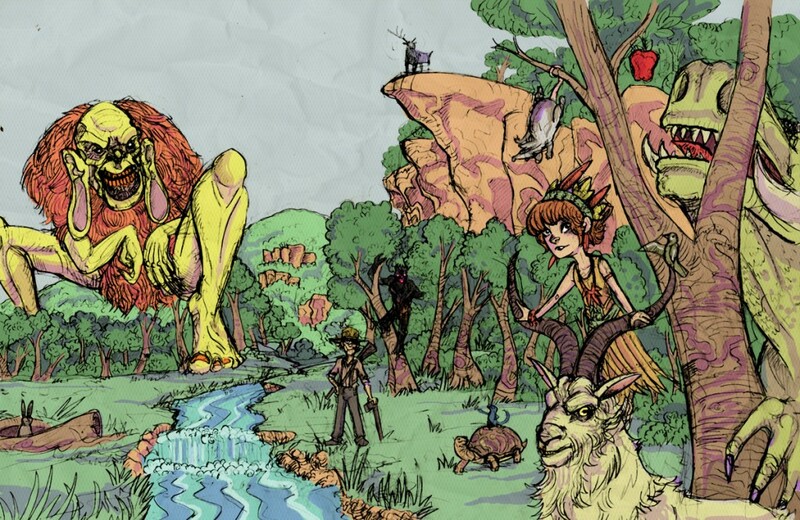 Each story is a standalone YA friendly comic that explores a folktale inspired world. Born and raised on a goat farm on top a mountain, Gustav Carlson spent his days naming an increasing number of goats Gruff. Partially in fear of bridge trolls that run rampant in the hills, but mostly because it adequately described most the goats he knew. Since then the trolls have gone extinct, and the goats Gruff are in his past. To fill that constant void, he now draws comics. 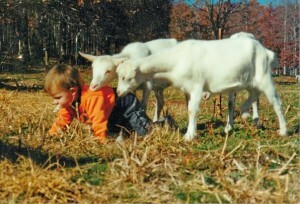 Eventually he plans to retire to Goat Island, a very real place. You can contact him at eveoftheozarks@gmail.com He also draws and writes Backwood Folk. But it’s gross and has kissing.